The headmaster of an independent school has employed a thinker-in-residence and a philosopher-in-residence to teach pupils "to think and reason". 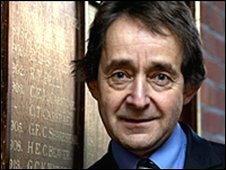 Dr Anthony Seldon, master of Wellington College in Crowthorne, Berkshire, believes the teaching of reasoning and philosophy is a "basic right". Dr Seldon, who also advocates well-being classes, hopes to put "discovery back at the heart of education". Author and education consultant Tony Buzan will be the thinker-in-residence. The newly appointed philosopher-in-residence, Dr Julian Baggini, co-founder of The Philosophers' Magazine, said the school's scheme was "particularly important in such a fast-moving society". "In a culture of blogs and constant appeals in the media for people to text or e-mail with their thoughts, people need little encouragement to have opinions," he said. Meanwhile, Mr Buzan, known for his "Mind Maps" technique, said: "It [the project] will raise the profile of creativity in the curriculum and expand the concept of thinking. "[This will] help forge the idea of a new 21st Century renaissance graduate, who will be capable and confident of dealing with the increasing demands of modern society." Pupils will learn how to construct arguments, understand reasoning and also be taught the basics of the philosophy of knowledge, as part of the programme involving teachers, parents and governors. It was prompted by Dr Seldon's concerns about the state of the national curriculum. "We have allowed ourselves to believe it is all about exams and testing," he said. "Education is about teaching the whole child and this involves being taught how to think and reason independently. "This is a basic right of each child, we have to put discovery back at the heart of education."